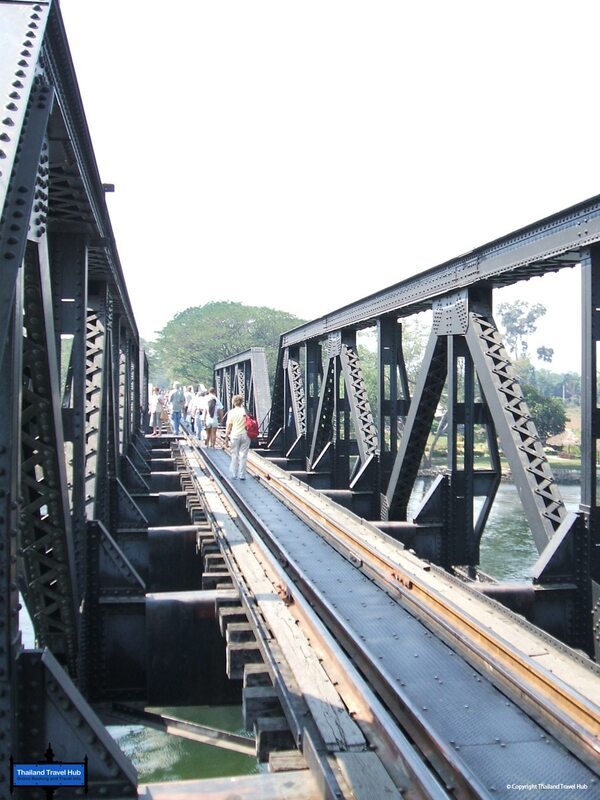 For many people the Bridge on the River Kwai is best known through the movie of the same title. 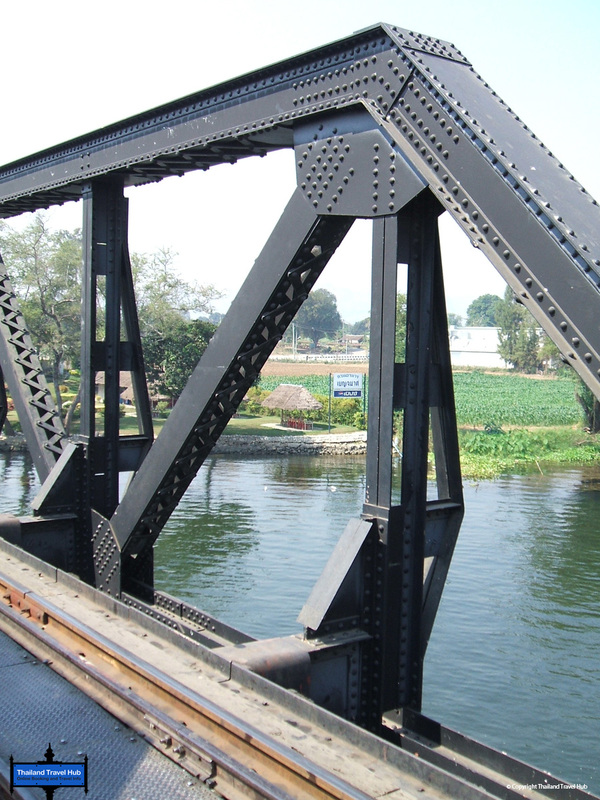 The world famous 1957, David Lean movie with William Holden, Jack Hawkins and Alec Guinness has made this simple railway bridge over a fairly non-descript river one of the most famous bridges anywhere in the world putting Kanchanaburi on the map for many visitors to Thailand. 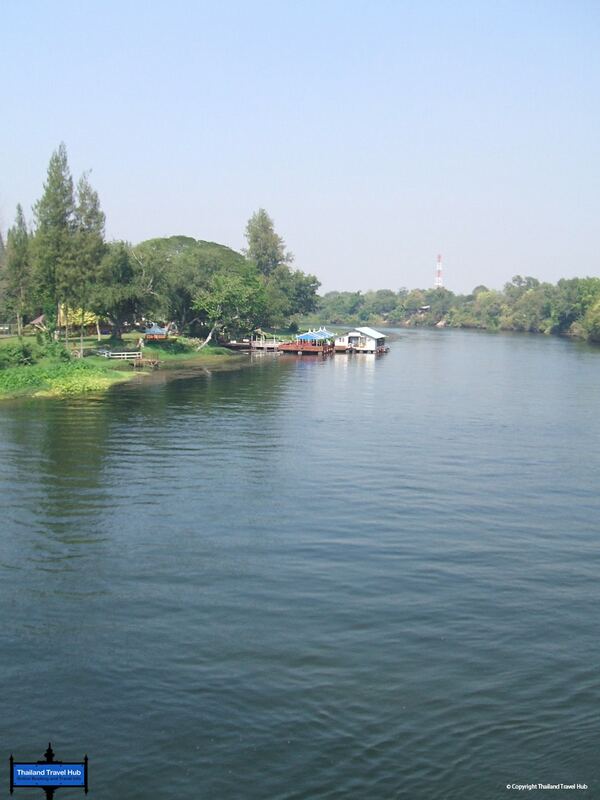 For tourists to Thailand the Bridge on the River Kwai is a must see. The bridge has become a tourist scrum for those who come and wish to see and pay homage to a well-known and particularly brutal piece of human history and early morning and late afternoon are the best times to avoid the crowds. The 300m long bridge stands today and one easily begins to appreciate its power and importance and what it now symbolises. 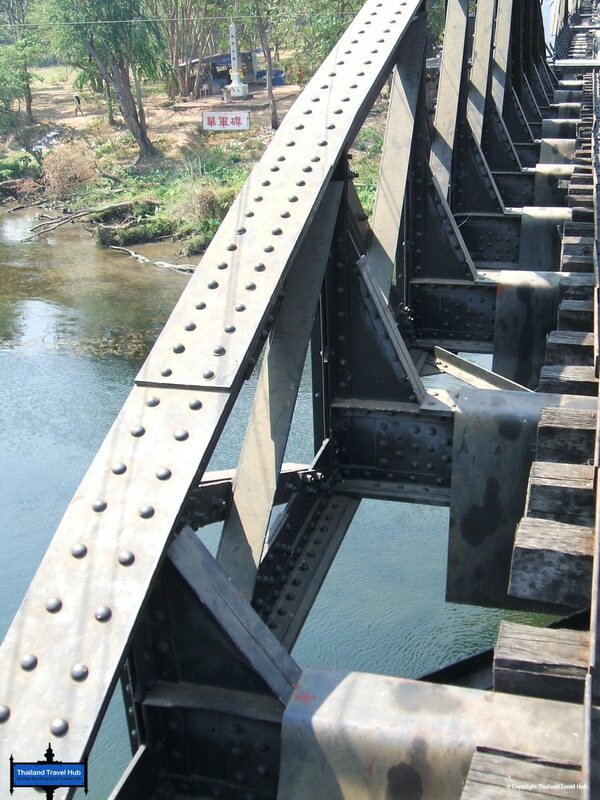 The 100m wooden bridge that is depicted in the famous movie has long since disappeared and the iron bridge that stands today was bombed in 1945 leaving only the curved edges of the bridge still standing. The bridge today is very much a hybrid of the old iron bridge with a new middle section. The bridge is quite spectacular in its own way and the tropical jungle surrounding it makes a wonderful photo opportunity. 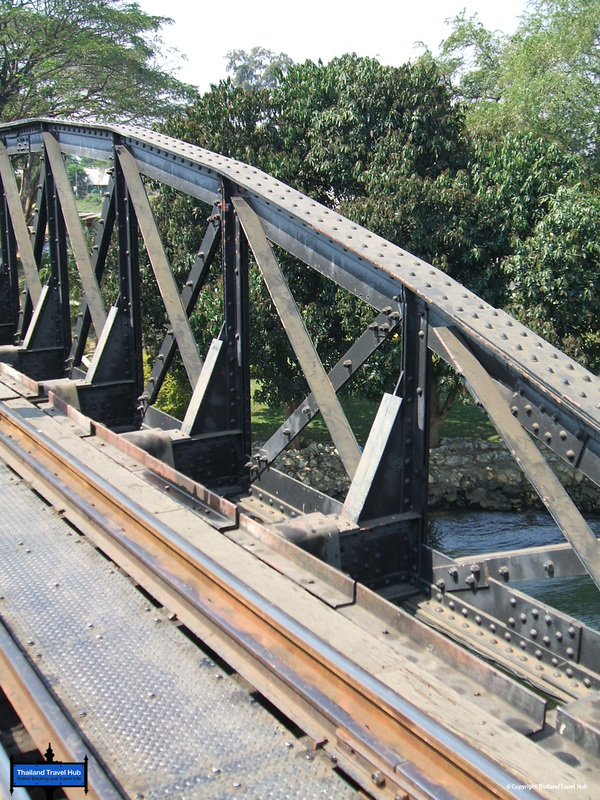 Trains still use the bridge and frequently pass over it, for some tourists catching a train from a nearby station and traveling along the old Burma Railway is a bucket list item and is an experience like no other. 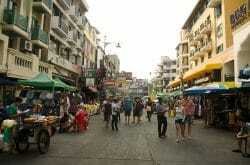 Many hotels offer a tour from Bangkok that includes a bus journey to the bridge and a train ride over the bridge. For those visiting the bridge there a number of designated safety points that must be used when trains cross the bridge. One needs to be advised that the bridge at Kanchanaburi is a very crowded tourist attraction as it is free to enter. Every year during the last weekend of November and the first weekend of December, a sound a light show tells the story of the bridge and for those fascinated by or even connected to the history of the bridge this would be an apt time to visit. 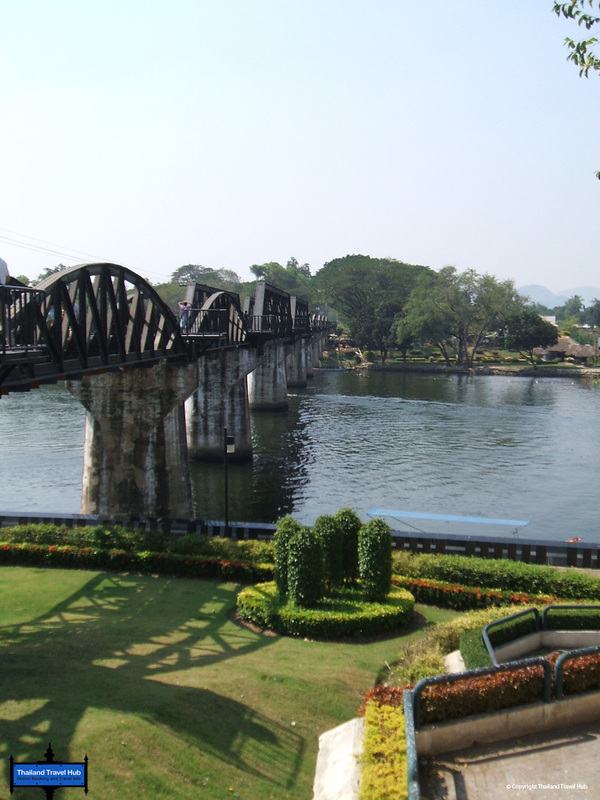 Another viewing point for the bridge is from the old Chinese temple on the banks of the river Kwai where its tranquil gardens make a perfect place to take photos or just to sit and ponder the history of the bridge and the lives sacrificed over a cup of tea. 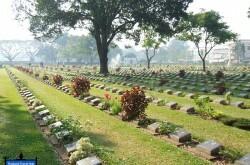 Not far away from the bridge, the Kanchanaburi War Cemetery is worthwhile visiting. Here some 7,000 POW’s are buried, each one giving up their life to build the railway and the bridge. A visit to the cemetery is a poignant and fitting end to a visit to the bridge. 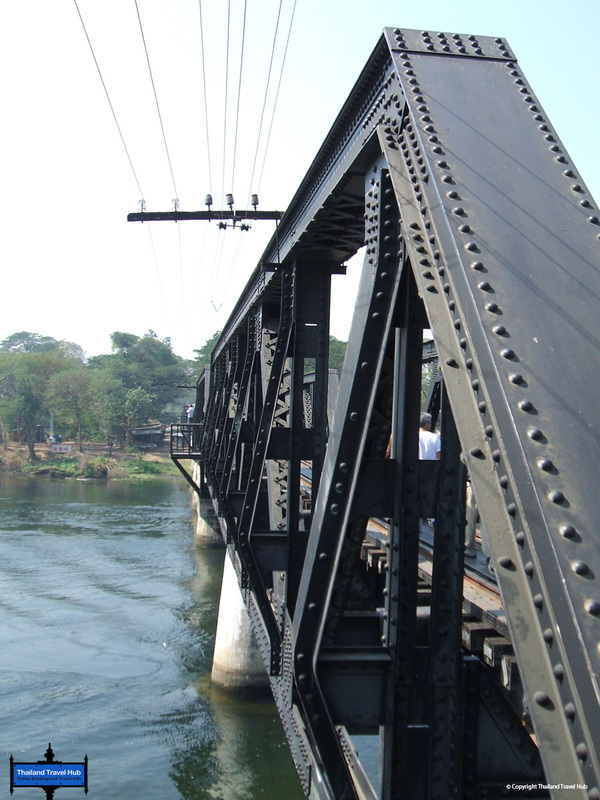 All told, the Bridge on the River Kwai at Kanchanaburi is a very good day out, traffic from or back to Bangkok can be bad and it may take up to 4 hours in peak traffic in either direction. Plan on a full day to visit the bridge, soak up the history, ponder the symbolism and absorb the natural beauty of the Thai jungle all around you. Entry to the bridge is free, joining a tour or hiring a tour guide will ensure you maximise your visit. Tours with train rides are available. The bridge is open all year round.